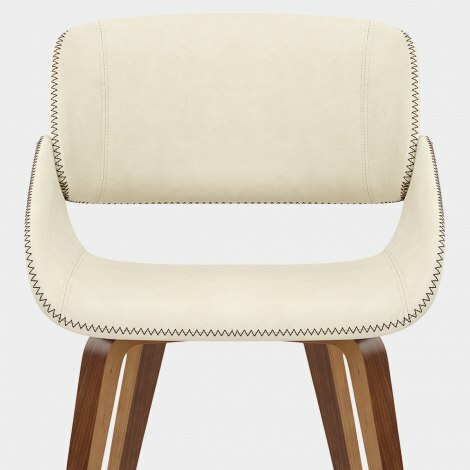 Embracing both modern design and retro style, the Flint Walnut Chair Cream will renew an array of spaces, from the dining room to the bedroom. A deluxe design with a difference, the Flint brings contemporary charm to the classic wooden dining chair. The cream faux leather upholstery has classic appeal, whilst padding within ensures great comfort. Plus, piped edging, chrome studs, and contrast zigzag stitching give a fashionable edge. 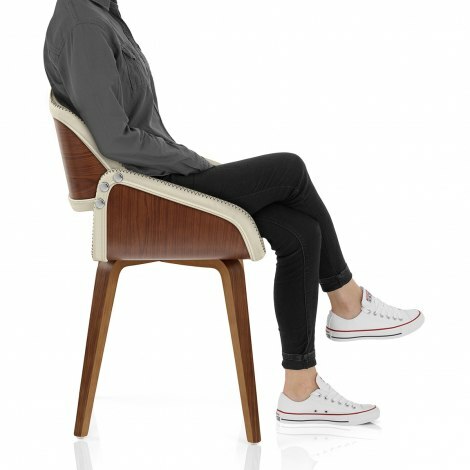 Encased in walnut finished bentwood, the seat and backrest have an ergonomic design, curving to form supportive arms, with a stylish cut out detail between. 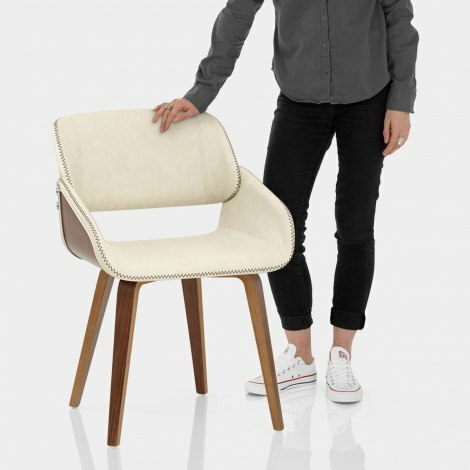 Four tapered wooden legs ensure the chair is strong and sturdy, and are complete with a walnut finish that match the seat, and protective floor plugs will take care of floors. "Very stylish with a retro feel"
Very stylish with a retro feel. Arrived as promised and in good condition.